writes and composes songs & plays the drums and sings. She has played in all three bands while briefly joining the Panika band too. She is currently engaged in the Puppets in Hospital project. She runs a private psychotherapeutic practice. Marka is a singer/songwriter with Zuby Nehty and plays keyboards. 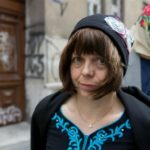 When she is not performing with the band, she authors and directs theater performances around Czech Republic. She is cofounder of the non-profit group "Loutky v Nemocnici" (Puppets in Hospital) which performs puppet theater for children in hospitals. She is also an accomplished author of numerous award winning children's books -- 'JO537', 'Varvara' (a book about the journey of a whale), 'Jonas Rushes Home', 'The Man and the sparrow', and 'Mrakodrapy' (an allegory based on San Francisco and New York Skyscrapers). She has her theater company DAMDAM. In addition to Zuby nehty, Marka has also performed with Plyn and Dybbuk. she plays alt saxophone, composes ans sings in the band. Previously she played in the band UJD. writes songs, in all three formations (Plyn, Dybbuk, Zuby nehty). from 1987-2011 played the bass, now only ocassionally. 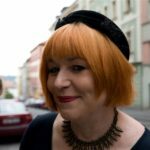 She teaches as Anglo-American University in Prague about subcultures. Since 2017 she is a member of Puppets in Hospital. 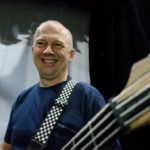 From 1986 to 1991 he played bass guitar in the Vltava band. During this time he also worked on other projects, especially home recordings created within the Hokkaido Records group of enthusiasts, such as František Svačina, Petr Venkrbec, Kateřina Jirčíková (then Nejepsová), Martin Kučaj, Václav Křístek and others. In 1995 he founded a band 69, to peform the recordings from the 1980´s. 69 sporadically plays till today with Jan singing and sometimes playing some instruments. During 1995 to 2012 he also performed as Rudolf Rokl, Jiří Schellinger and Drupi in the Karel Gott Revival Band. He works in Czech TV as a director of content development, but we don´t blame him for it. at the very beginning, two friends, Hana Kubíčková and Pavla Fediuková from Štěpánská high school in Prague went home and thought which band they will put on when they throw away their schoolbags to the corner, and well, Hanka said, "The Gas". And thus the band got its name. Hanka and Pavla played together in their room guitars. Then Tomáš Míka introduced Marka to them. She sat behind the piano and pounded on it with all her might. Hanka drummed on a box instead of a drumset. Later on Kateřina Jirčíková joined on flute and saxophone and Eva Trnková on guitar. Lyrics and songs began to appear and the group entered the Czech music scene. So it was in the 1980s. In summer 1980 Hanka and Pavla performed their songs for fellow laborers on a school hop-picking brigade. 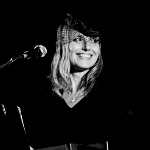 Marka joined the duo, adding fist pounding piano techniques, professional vocals and dramatic persona. Hanka switched guitar for drums. The band was based on friendship, books, hitch-hiking and playful challenging boys to wrestling matches. Songs materialized in outbursts of laughter. First gigs were played at clubs Strahov 07, Euridika and alternative music festivals. The name was taken up after The Gas got blacklisted in 1983. 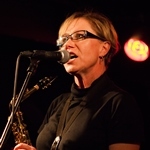 In 1984 saxophonist and flautist Kateřina Nejepsová joined, guitarist Eva Trnková in 1985. Dybbuk played at festivals Vokaliza, Rockfest etc, and clubs Chmelnice, Opatov, Rokoska, etc. In 1986 their five songs were released on Panton‘s series ‘Rock Debut’. Then Eva, Kateřina and Hanka left for a professional girl band Panika and Dybbuk stopped existing. Pavla and Marka started Zuby nehty/ Tooth and Nail with a poet Nada Bilincová in 1987. Tomas Mika and Michal Pokorny joined on saxophones and Jan Lorenc on drums. The formation performed at Slunecnice and Lucerna. Mira Wanek of Uz jsme doma proposed in 1991 to produce Dybbuk songs for Punc, and the original set-up (Marka Mikova, Katerina Jircikova, Pavla Slaba, Hana Repova and Eva Trnkova) decided to continue with a new repertoire. The band toured Europe, especially Germany. The first Zuby nehty album Utíkej/Running came out in 1993, followed by the Král vysílá své vojsko/Red Rover from 1995, Dítkám/For the Children in 1997, and Loď odplouvá/The Ship is Sailing Away in 1999. The band produced a film and several videos for Czech TV, theatre soundtracks and a book for poetry for Mata. In 2000 Zuby nehty stopped rehearsing and met occasionally for recording soundtracks for Marka’s theatric productions. In 2003 Indies Records released a double CD Best of/ Rarities. Rarities include four theatre soundtracks, relics by the „dammed“ poet Naďa, and ‘up our sleeve’ - Marka and Pavla on basses and Kat on flute and sax. The group played at special occasions, e.g. the release of digitalized film Hudba Praha 85 at Archa Theatre, various benefits and festivals like Mikulov and Unijazz events. In 2010 decision was made to start rehearsing the piled-up songs in the band members‘drawers. Romek Hanzlik’s agency AMP signed the band to regular concerts, including participation in Czech Center in New York street festival October 2, 2010.